GULU – Police in Gulu District have arrested three UPDF soldiers in connection with strangling their colleague over a woman. 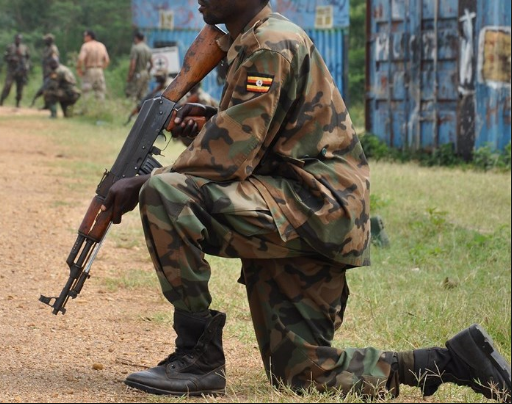 The body of Pte Raphael Odokonyero from 76th Battalion that is based in Arua District, was found dumped in Kanyogoga ward, Bardege Division, Gulu Municipality on Wednesday morning. Aswa Regional Police spokesperson Jimmy Patrick Okema said preliminary investigations indicate that the deceased was strangled by his colleagues following a fight over a woman. According to witnesses, Odokonyero had spent the whole of Tuesday with his girlfriend at a bar in Conga Oloya Market. It is believed that the fight was over the woman. The soldier’s alleged girlfriend identified as Fiona Nalubega has also been arrested, Mr Okema said, adding that the suspects are being detained at 4th infantry Division barracks cells. The deceased had reportedly travelled from Gulu to the 4th Infantry Division headquarters in Gulu to apply for loan. The Kanyogoga LCI chairperson, Ms Florence Atoo, said the deceased body was found by residents in the morning who later alerted local leaders.